There are 20 spots available on this ride and bookings close on Wednesday 12 June 2019. Below is some general information about our 2 Day Hills ‘n Flow Tours, please note that these rides are not for beginners, so an intermediate level of off-road riding experience is essential. 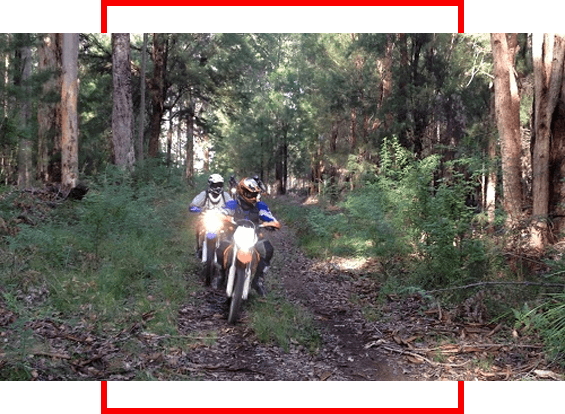 Also, you will need to hold a current motorbike licence for your enduro bike (or learners permit for your class) and your bike must be ‘A’ class road registered, silenced, in good mechanical condition with either new or good off-road tyres fitted. Your bike will need a fuel range of 80kms. This tour will take in the magic trails and awesome views of the Hills ‘n Thrills terrain and mix it up with the best bits of the Forest Flow trails – aimed at the Intermediate level rider who likes a good a steady trail pace, with lots of different terrain to keep you on your toes, nothing too hard & nothing too easy, just a good weekend of riding.